Here are some tips on what's worth watching on Sunday . . . 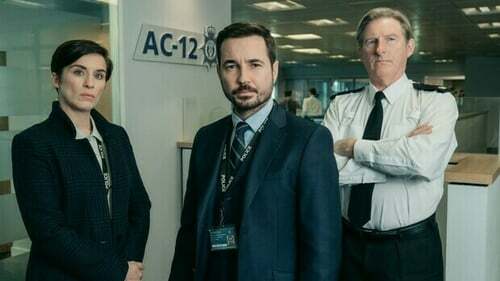 So far, season five of Jed Mercurio's cops-investigating-cops drama has been excellent – with new man Stephen Graham really adding to the mix. This week, his character Corbett’s most daring plan yet requires McQueen (Rochenda Sandall) to exploit links with corrupt police officers. Meanwhile, the AC-12 crew are about to make a shocking discovery. As the final season of Game of Thrones begins on Monday (2am on Sky Atlantic if you simply can't wait), this documentary looks into the life of one of the most influential fantasy writers: JRR Tolkien. Best known as the creator of Lord of the Rings, The Hobbit, and the entire fictional universe of Middle Earth, Tolkien captured the imaginations of millions and his work has since been recreated in Hollywood epics and countless video games. But who was the man behind Middle Earth? This documentary looks at the life and surprising personality of Tolkien, a much-loved hippie icon. But they discover a sinister cult that's eager to exploit Ally’s heightened senses. In this final episode, archaeologists find extraordinary new evidence about how the ancient Egyptians prepared for the afterlife. The most elaborate tomb in the Valley of the Kings - which was built for the great pharaoh Seti I - reveals the sacred text that was needed to secure life after death. Steven Spielberg's drama based on Peter Benchley's 1974 novel of the same name changed the course of cinema history, creating the summer blockbuster as we know it today, and established Spielberg as a director of note (and banknotes). The story's about a shark causing death and a wave of terror in the fictional seaside resort of Amity Island, with Robert Shaw in superb form as Quint, a professional shark hunter keen to catch the predator. Financial planner Marty Byrde (Jason Bateman) suddenly relocates the family from the Chicago suburb of Naperville to the summer resort community of Osage Beach, Missouri. After a money laundering scheme goes wrong, he must make amends to a Mexican drug cartel by setting up an even bigger laundering operation in the Ozarks. When the Byrdes arrive in Missouri, they become entangled with local criminals including the Langmores and Snells. The brest thing about this show is how well Batemen and Laura Linney, who portrays Marty's wife Wendy Byrde, work together.